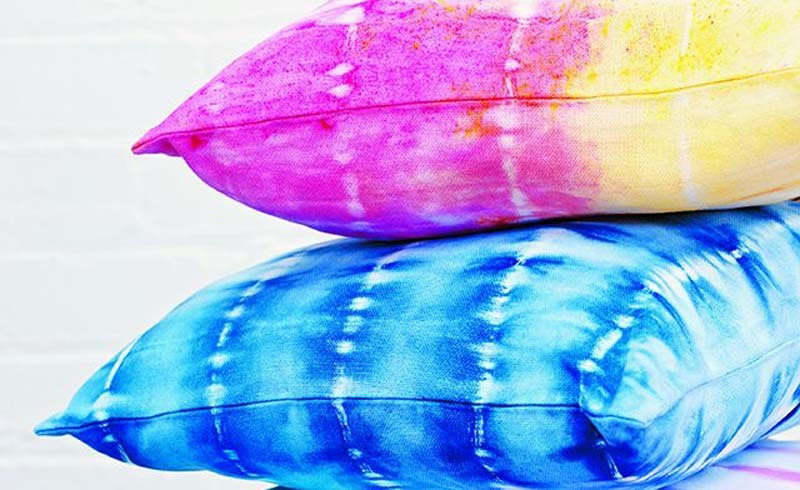 Add a tropical vibe and super fun pop of color to your bed or sofa with these eye-catching and easy-to-make tie dye pillow covers. 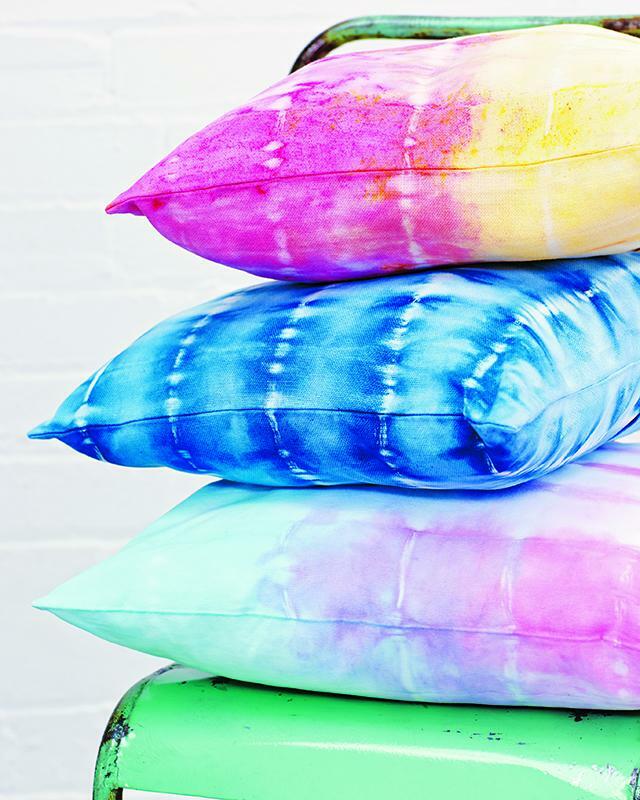 Tie-dye has officially transitioned into the realm of the stylish—it adds a bright and vibrant character like no other to clothes and textiles. 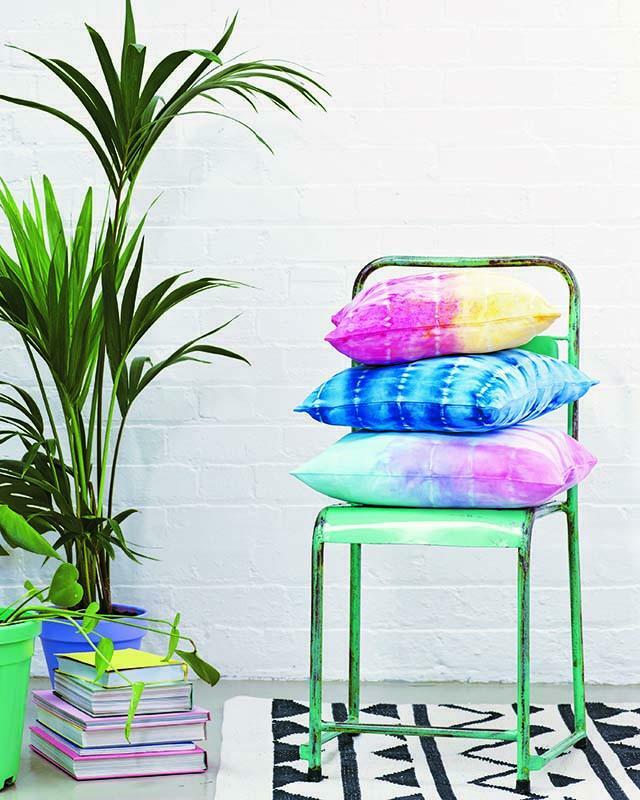 Tie-dye enthusiast and creator of equally vivacious art Lizzie King brings you striking projects that go beyond the typical tie-dyed T-shirt in her new book, Tie & Dye, set for US release in March. 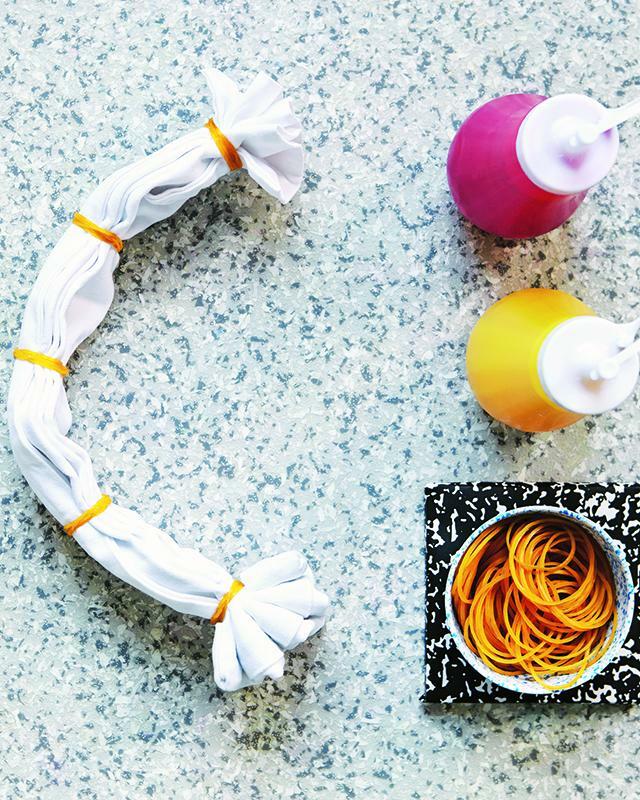 From dip-dye shoelaces and statement pillows to sophisticated shibori tea towels and retro woven plant hangers, these fun projects will make you want to fill your home with bright colors. 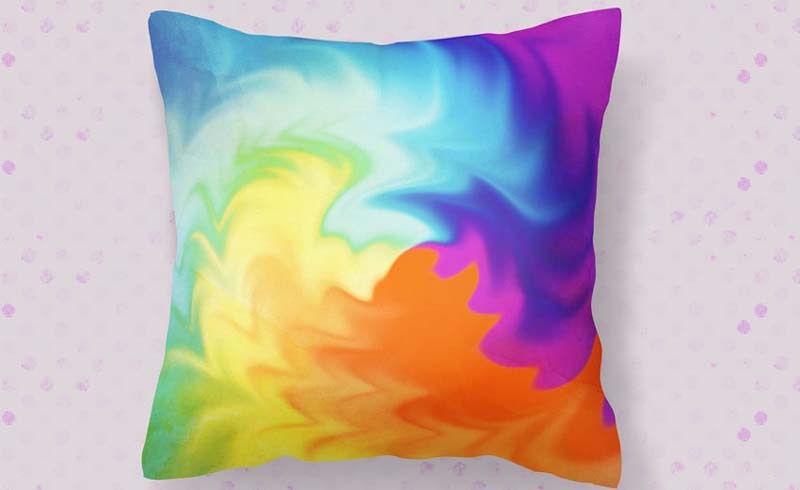 To start, we've got her project for gorgeous, sunset-like pillow covers to add a quick pop of color to your sofa or bed. Check it out! Step 1: Lay your cushion cover on a clean surface. Start to fold it as if you are making a paper fan, flipping the cushion over after each fold. This is an accordion fold. (Lizzie folded it about 4 cm (1 1/2 in) wide)). Step 2: When the cushion cover is completely folded, find the center of the cushion cover by folding it in half, and put an elastic band tightly around the middle. Now add two more evenly spaced elastic bands on either side of the central elastic band. If you want more stripes, add more bands. 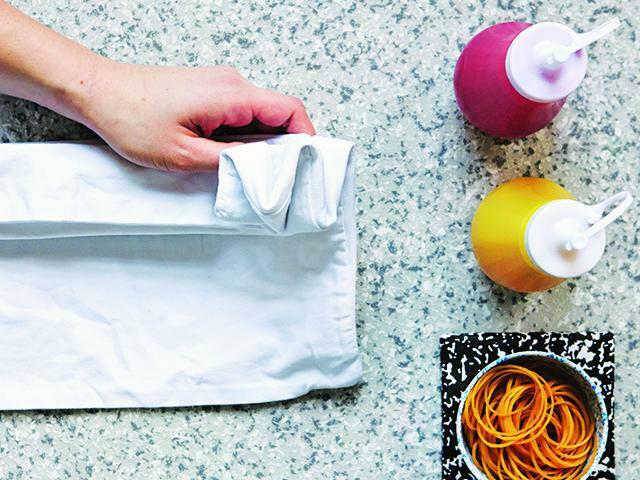 Step 3: Soak your cushion cover in water, then squeeze out the excess water so that it is damp but not dripping wet. Step 4: Put on your rubber gloves and mix the dye according to Lizzie's squeezy bottle technique. 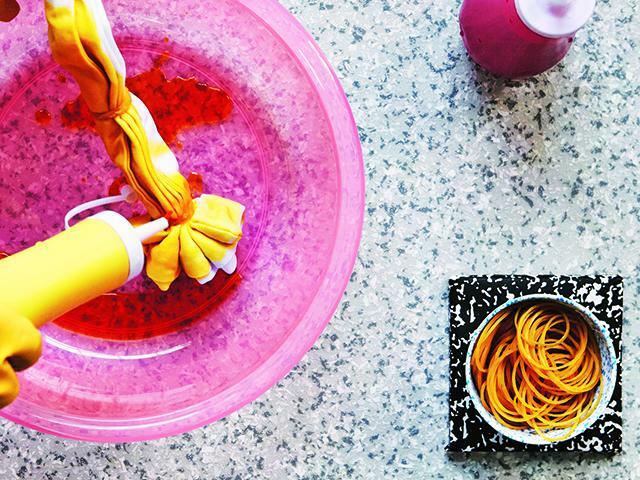 As you are pouring the dye straight onto the fabric and not leaving it in a dye bath, you need to mix up the dye with less water than the packet advises. 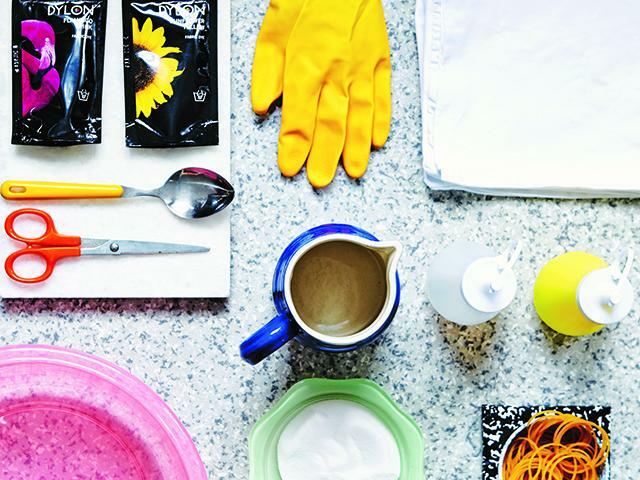 She recommends mixing a tablespoon of dye and a tablespoon of salt together with 350ml (1 1/2 cups) water in a jug. 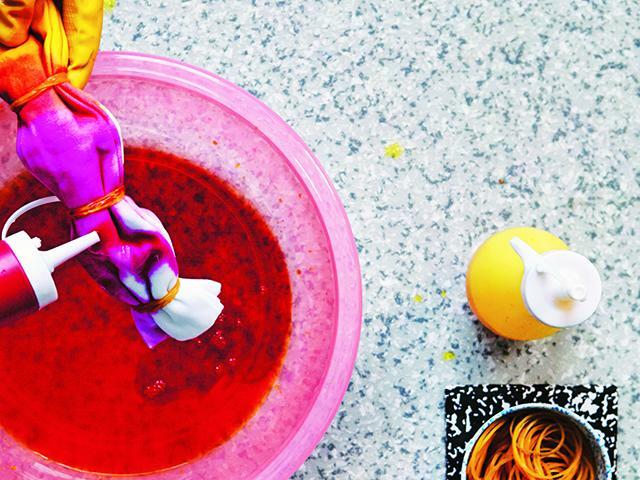 This should fit into your squeezy bottles, but you may have to experiment. If you mix a color and it's darker than you wanted, you just need to add some more water to dilute it. Step 5: Hold the cushion cover over a bucket. Pour the first color dye over one half of the cushion cover, overlapping the middle elastic band slightly. Step 6: Now repeat with the second color on the other half, overlapping the middle again to create a third color. In this case, pink + yellow = orange. Get Free Premium Content which updates automatically on your website everyday.